Winter wild Archives - GetGoing NC! ERA Sunday Hike Series: West Point on the Eno city park, Sunday, 2 p.m., Durham. 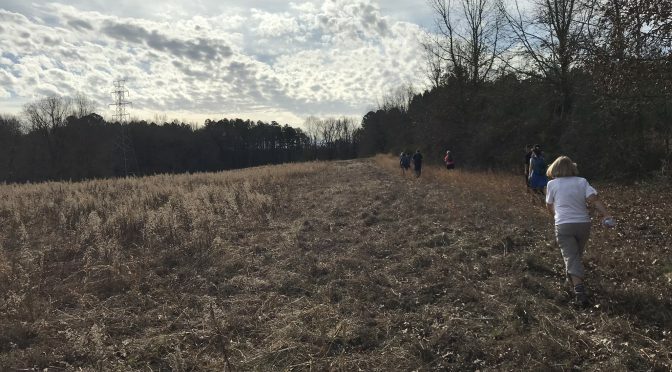 The Eno River Association kicks off its popular Sunday afternoon Winter Hike series with a 4.5-mile hike up the Eno from West Point on the Eno to Guess Road and back. 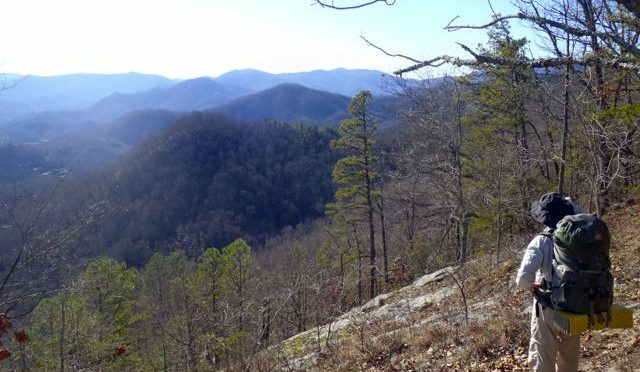 One of the flatter hikes around, with open views of the Eno and a visit to the rock-bound pool called Sennett Hole. More info and sign up here. Good Night Monadnuck, Sunday, 4:30 p.m., Occoneechee Mountain State Natural Area, Hillsborough. One of our favorite hikes is to ascent mighty Occoneechee, the highest point in the Triangle at 867 feet, and catch the sun setting over Efland at dusk. More info here. GetHiking! Winter Wild: Off Trail at Umstead, Saturday, 10 a.m., Umstead State Park, Raleigh. We launched our Winter Wild program last week in the Eno Wilderness (check out the video) and are extremely excited about it. We take you to the places you thought you knew, and show you things you haven’t seen before on a hike that’s mostly off trail. Saturday’s hike will be about 8 miles. Learn more and sign up here. GetHiking! Winter Program for Beginning Hikers, Sunday, noon, Eno River State Park, Durham. Another new program that we’re excited about. 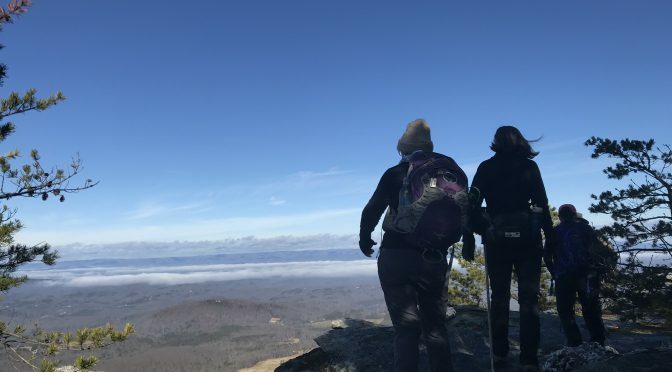 If you’ve vowed to give hiking a go in 2019, this is the place to start. Sunday’s hike will be a mellow mile-and-a-half introduction; over the course of the next 8 weeks we’l build up to 4 miles, on trails around the Triangle. Learn more and sign up here. =&4=& have a variety of adventures planned for the weekend. Check those options here. =&5=& has an extensive calendar of what’s happening at its affiliates; check it out here.